April is National Car Care Month, and here at Joseph Toyota of Cincinnati, we’re celebrating! From routine maintenance to parts replacement to collision repair, we are a jack of all trades here at our Toyota dealership. How will you celebrate National Car Care Month? So, what exactly is National Car Care Month? Created by the Car Care Council, it serves essentially as a reminder to give your vehicle the attention it deserves. April is a prime month, as we’re finally getting out of the trenches of winter and less-than-ideal weather and road conditions. What better time than now to refresh your vehicle? Consider a thorough car wash and wax, an oil change, a tire rotation, and a battery test. Cold weather negatively affects several of your vehicle’s components, which is why it’s imperative to ensure everything is working in top-notch condition after the season. Whether you drive a Toyota RAV4 or Toyota Corolla near Colerain, OH, you can be confident that it is always in excellent hands in our Toyota service center. From oil changes and tune-ups to major repairs, we have the trained technicians and the latest equipment to handle all automotive needs. You can give us a call in the service department at (513) 385-3263 to set up an appointment for service at your earliest convenience. 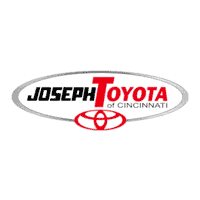 You will find Joseph Toyota of Cincinnati located at 9101 Colerain Avenue in Cincinnati, OH. The service center at our Toyota dealer location is open for appointments Monday through Thursday from 7:30am to 6:30pm, Friday from 7:30am to 6pm, and on Saturdays from 8am to 3pm. Contact us today to learn more about National Car Care Month!